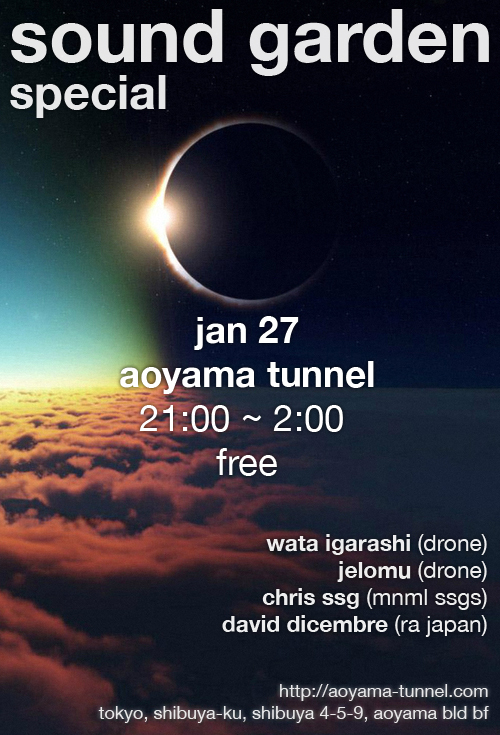 Very last minute, but the Sound Garden crew will be DJing this Tuesday 27 January at Aoyama Tunnel. We will be joined by our good friend, Wata Igarashi. As usual, this will all be rather low key: a nice opportunity to hang out, enjoy a drink with friends and hear some quality music. So if you are free, come down and join us.